If you aren’t aware that David Beckham is on track to become the unexpected menswear icon of 2018, we’re here to break the news. While always roundly approved of in fashion circles (and lent plenty of style kudos by his fashionista wife Victoria Beckham), the ex-football legend-come-heartthrob has never been an “artistic”, frontline fashion muse. This global name has long been synonymous with sleek dressing and en pointe menswear, now however, he’s being embraced as a key inspiration by those at the cutting edge of style – and it’s not just his current ensembles which are generating excitement. The cyclical nature of fashion is a key component behind Beckham’s rise to fashion leviathan-slash-muse status in 2018. The early nineties have been heavily referenced in fashion for a couple of years now, regenerating plenty of nostalgia for the era in which David Beckham rose to fame. An expert at channeling the perfect amount of zeitgeist into his attire, this is a man who has consistently looked good for almost three decades in the spotlight, rarely (if ever) overdoing trends and always adding a touch of modishness to his look – whatever the era. Want to nab some style pointers from this year’s menswear muse? The Barrington Watchwinder team have handpicked five just for you. One key reason why Beckham never looks uncomfortable or “wrong” in any look he seemingly effortlessly throws on is that the fit is always immaculate. Never too big or too small, the former footballers always gets sizing spot on. Easy enough with a stylist to support you, but an important point for us regular Joes to bear in mind. Beckham makes walking that line between fashion conscious and fashion victim look stupidly easy. One major reason for his success is a formula which takes on trend elements and blends them with classic, indisputable style. Contemporary references combined with timeless fashion is the gold standard we should all be aiming for. Don’t want to look stuffy but need to look both smart and chic? A crewneck sweater in the same shade as your blazer is the perfect solution. Understanding these “contemporary basics” means Beckham always has a go-to which looks great for any occasion. Beckham’s blend of “soft quirk” with signature style is an essential part of his fashion success, but these quirks often lie in the detail of his look. Personal touches, subtly interesting prints, distressed features – the little things really matter. 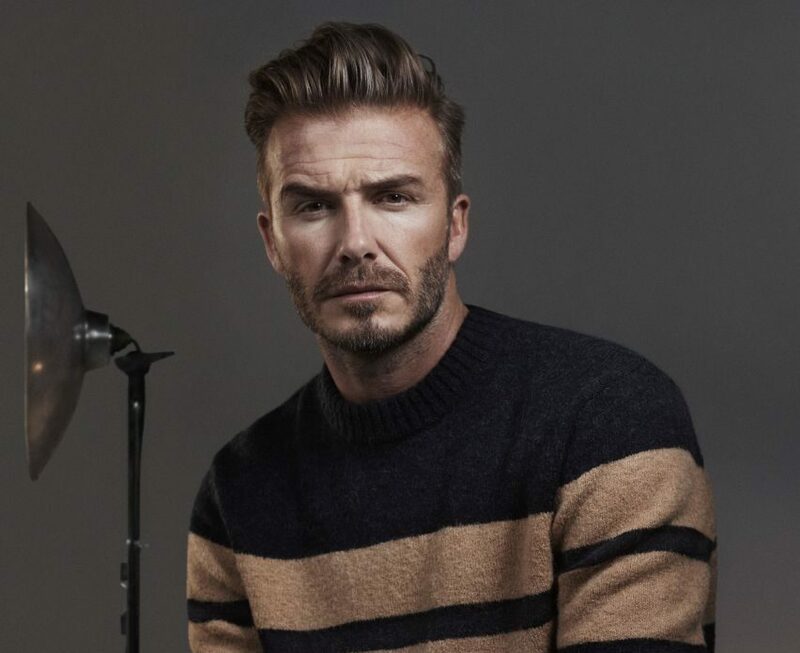 Do you rate David Beckham as a menswear influence? Which era of Beckham gives you the most fashion inspiration? Have your say below.